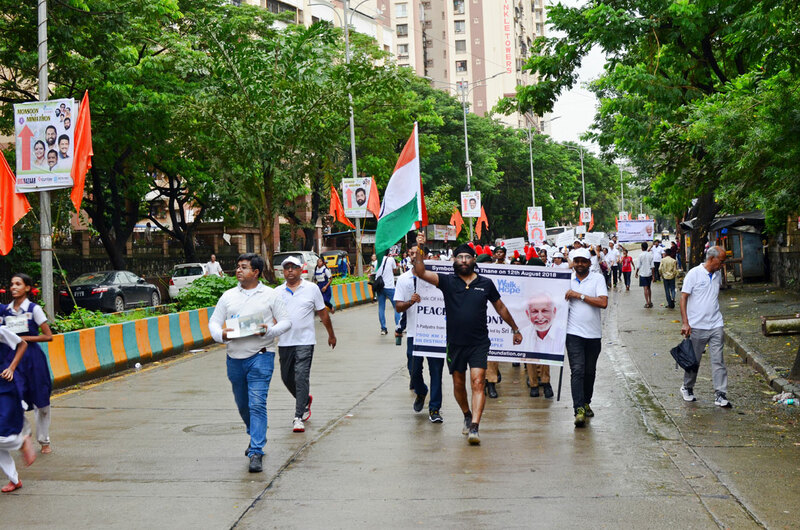 Members of The Satsang Foundation Mumbai participated in the Monsoon Miniathon on 12th August 2018. 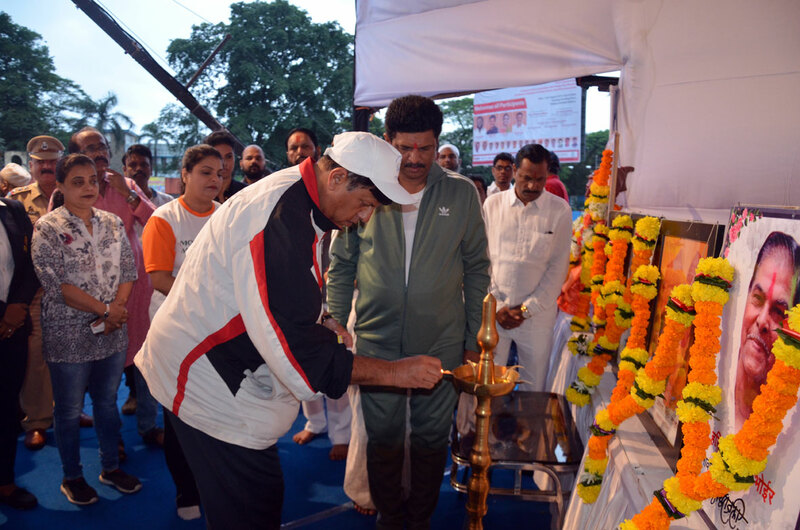 Organised by ‘United 3’, a social group affiliated to Thane District Athletic Association, the motto of the Miniathon was ‘Say No to Plastic and Save Earth’, ‘Run for Clean Thane, Clean City Green City’. 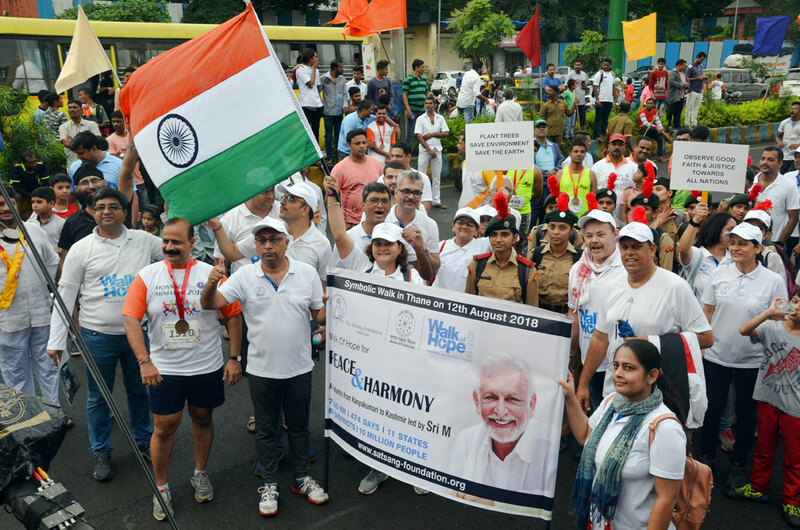 The Miniathon was a perfect platform for promoting the MyTree initiative and spread Sri M’s message of peace, harmony, and oneness of humanity through a symbolic Walk of Hope. The event was well attended, with participants ranging from schoolchildren, sports enthusiasts, senior citizens, popular TV and Cine artists. Altogether, approximately 2000 people joined hands with around 70 members of The Satsang Foundation Mumbai Kendra, including 12 enthusiastic members from Pune. 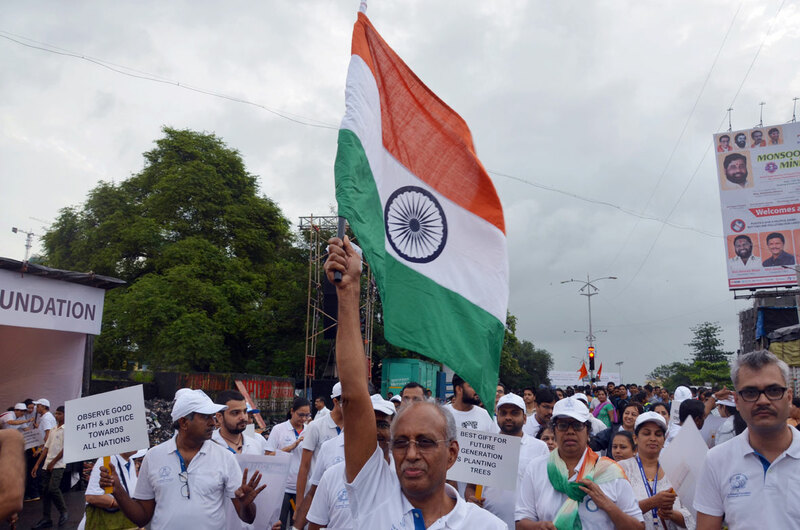 The Walk started at 6:30 am amidst light showers and a cloudy sky – a typical day of Mumbai’s monsoon. 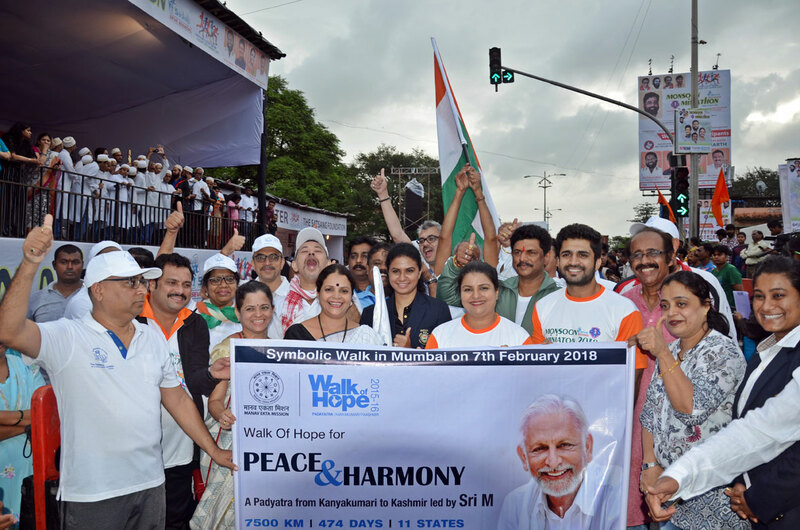 An oath and pledge to follow the humanitarian values, being united irrespective of any religion or caste, to practice non-violence and love for all – the oath that reminded many of the days of Walk of Hope, 2015-16- was first taken. Such a beautiful way to begin! Imagine its power when all the assembled people said it with vigour. It brought a lump to the throats, tears welled up in many eyes, and the whole scene transformed to overwhelming. The length of the Miniathon was covered with inspired hearts and minds – filled with warmth and happiness. 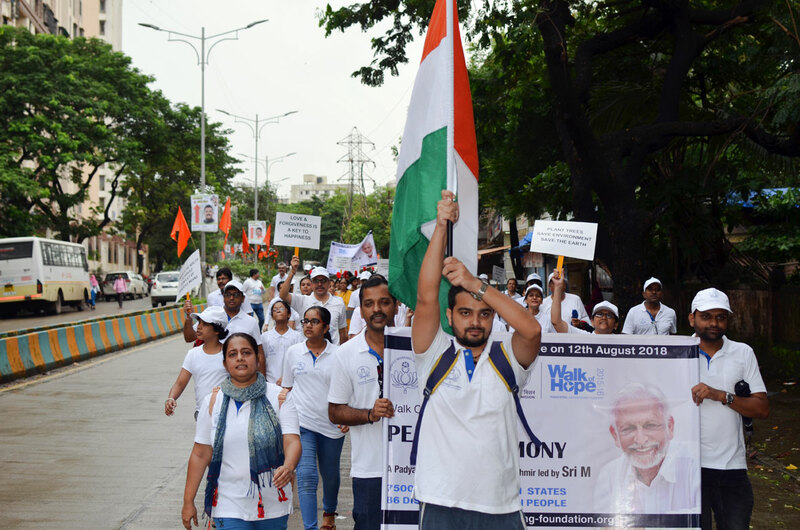 Banners along with the national flag and placards portraying Manav Ekta’s message added to the ambiance of oneness. The group also included girls from the NCC (National Cadet Corps), who followed the Walk of Hope banner with slogans of ‘Vande Mataram’ and ‘Bharat Mata Ki Jai’. 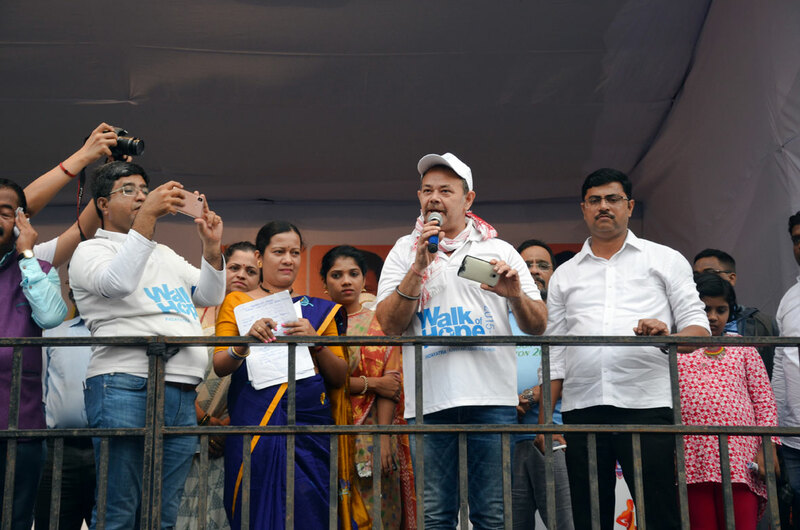 Mr. Eknath Shinde, Maharashtra State Cabinet Minister – PWD & Thane Municipal Commissioner were the Chief Guest along with five prominent corporators of Thane. 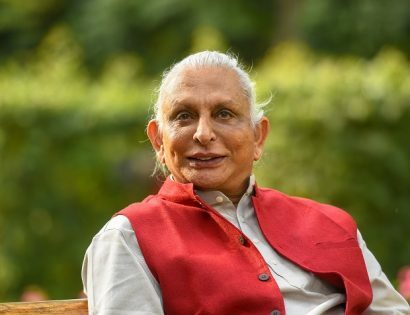 All of them were appreciative of the initiatives and activities pursued by The Satsang Foundation, and promised full support for future events. The dignitaries were honoured with Tulsi saplings – symbolic of the MyTree initiative. Some of the participants were keen to know more details of the mission of The Satsang Foundation and the members explained the many aspects. 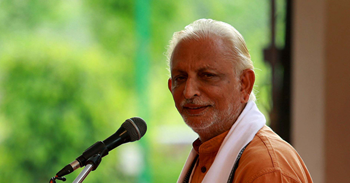 Some joined the Mumbai Satsang group on the spot itself on hearing about its underlying mission of human oneness. Overall, the Monsoon Miniathon was a wonderfully soulful experience. It also proved to be a good breakthrough when the organisers came forth to include the members of The Satsang Foundation Mumbai as the second leading group in the Miniathon, thus enabling reach to a considerable section of Thane. Looking at the reassuring support given by local corporators and social groups, The Satsang Foundation will be an active participant in many such activities in the coming days.